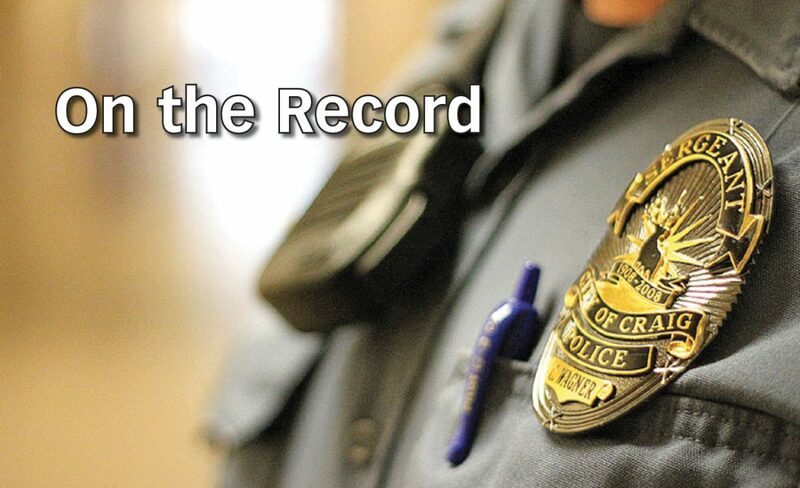 1:42 a.m.: At the intersection of East Sixth and Legion streets, officers with the Craig Police Department made contact with three pedestrians. Two of the individuals were served citations for curfew violation, and another was issued a show-cause notice. 2:46 a.m. At the intersection of Ninth Street and Finley Lane, officers investigated a report of a suspicious vehicle. Officers contacted the motorist, who had pulled into parking lot to read papers. 10:01 a.m. Near Fortification Creek, officers responded to a report of two bicycles being found. Officers picked up one of the bikes but could not locate the other. 10:06 a.m. In Craig, officers investigated a report of domestic violence. 12:41 p.m.: On the 700 block of Washington Street, officers responded to a report of a drunken pedestrian. When they arrived, they observed an apparently intoxicated male in middle of the road. After the man fell over, officers gave him a ride home. 12:58 p.m.: At Centennial Mall, officers investigated a report of a stolen bicycle. 1:17 p.m.: On the 300 block of Washington Street, officers investigated a report of trespassing. The complaint dealt with a woman who had previously been trespassed from the address. The woman was arrested on suspicion of trespassing, violation of a temporary restraining order, and resisting arrest. 3:02 p.m.: In Craig, officers investigated a report of domestic violence. 4:06 p.m.: On the 500 block of Lincoln Street, officers investigated a report of vandalism. Windows had been broken in a Ford F-150. 6:06 p.m.: On the 900 block of West First Street, officers investigated a report of a stolen bicycle. 6:24 p.m.: At the intersection of West Fourth and Ranney streets, officers responded to a motor vehicle crash with property damage. A GMC Envoy and a Nissan Altima collided. No injuries were reported, and no tows were needed. One of the drivers was issued a summons. 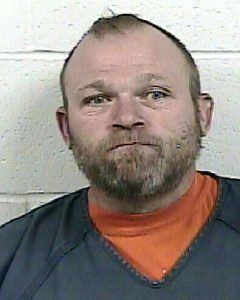 8:58 p.m.: On the 600 block of Pershing Street, officers arrested a 45-year-old Craig man on warrant out of Routt County. 2:07 a.m. On the 1400 block of Barclay Street, officers responded to a report of harassment. The reporting party said neighbors were blaring a radio and yelling profanity. 2:19 a.m. In Craig, officers investigated a report of domestic violence. 2:37 a.m. On the 700 block of Russell Street, officers investigated a report of a suspicious person. Upon arrival, they discovered three individuals who were sleeping. The individuals were sent on their way. 7:29 a.m. In Craig, officers investigated a report of domestic violence. 1:04 p.m.: In Craig, officers investigated a report of a possible drug violation. 7:26 p.m. On the 900 block of West Victory Way, officers investigated a report of a suspected transient staying in the area and leaving trash. When officers arrived, it appeared person had left. 9:55 a.m. On the 90 block of Commerce Street, officers investigated a report of a disturbance. 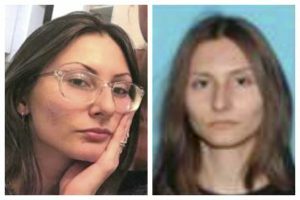 A 25-year-old Grand Junction woman was arrested on suspicion of harassment and false imprisonment. 10:29 a.m. On the 800 block of East Seventh Street, officers investigated a report of a suspicious person. Someone wearing all black had reportedly been wandering around the reporting party’s residence. When the reporting party turned on a light, the subject fled. Officers were unable to locate the individual. 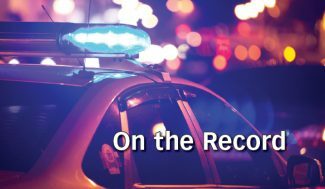 11:40 p.m. On the 20 block of West Victory Way, police responded to a report of disorderly conduct and arrested a 29-year-old Craig man on suspicion of second-degree assault. 12:41 a.m. On the 20 block of West Victory Way, officers arrested a. 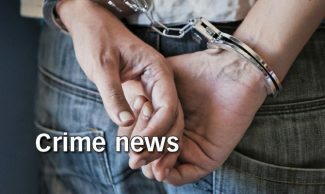 25-year-old Craig man on two warrants, one out of Mesa County and the other out of Routt County. The suspect was also charged with resisting arrest. 11:14 a.m. On the 1100 block of School Street, officers investigated an active alarm call. 12:26 p.m. At a business in the 1100 block of West Victory Way, officers investigated a report of theft. Upon arrival, they discovered people selling produce who had taken rocks from a neighboring property to help hold their tent down. The individuals returned the rocks.